Elisabeth Douglas is an Asian Art and Antiques dealer, consultant and appraiser as well as the owner of The China Coast Asian Art and Antiques for the past 30 years. Elisabeth was born in Vienna, Austria and moved to Thailand in the early 70’s. She began to immerse herself into the beautiful culture and her love for Asian Art began. As her knowledge and expertise grew Elisabeth started exporting Asian Art into the United States. She moved back to the United States and opened her own Asian Art gallery in Washington D.C.’s historic Georgetown district. After 15 years in D.C. Elisabeth and her family moved to Austin Texas to continue her art consulting business. Elisabeth has been passionate about Southeast Asian art as well as beads from around the globe – beads that have been traded from Constantinopel to Jaipur to for centuries. Elisabeth is a member of the International Society of Appraisers (ISA, CAPP) since 1995. 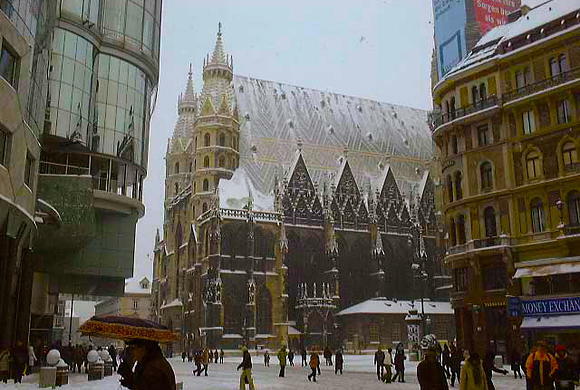 Photo taken in Elisabeth’s hometown: Vienna, Austria.